Increasing public knowledge is key to creating a world where elephants no longer live under constant threat of poaching, habitat loss, conflict, or capture. 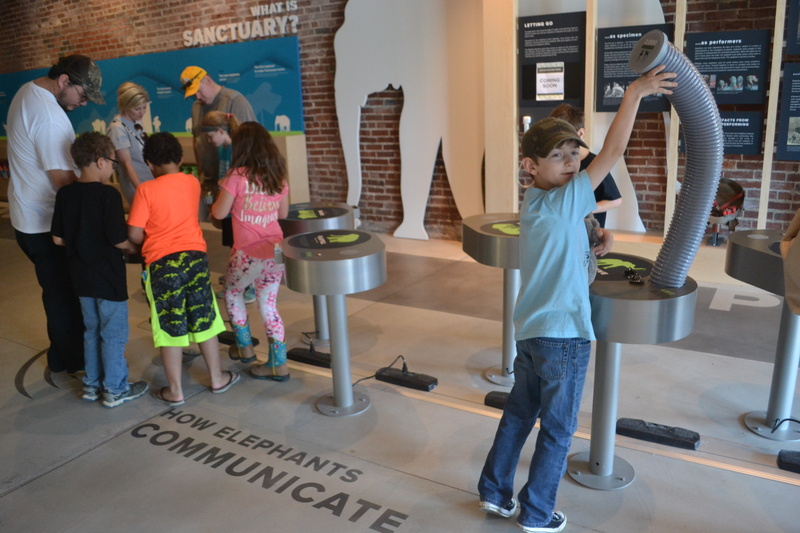 The Elephant Discovery Center offers hands-on self-guided exhibits and educational programming that explores the many ways elephants shape our world. The Sanctuary’s Education Staff are now scheduling group tours and field trips to The Discovery Center. Special hours are reserved for group programming Tuesday – Friday, 9 a.m. – 11 a.m., though programs may be scheduled outside of these hours as well. 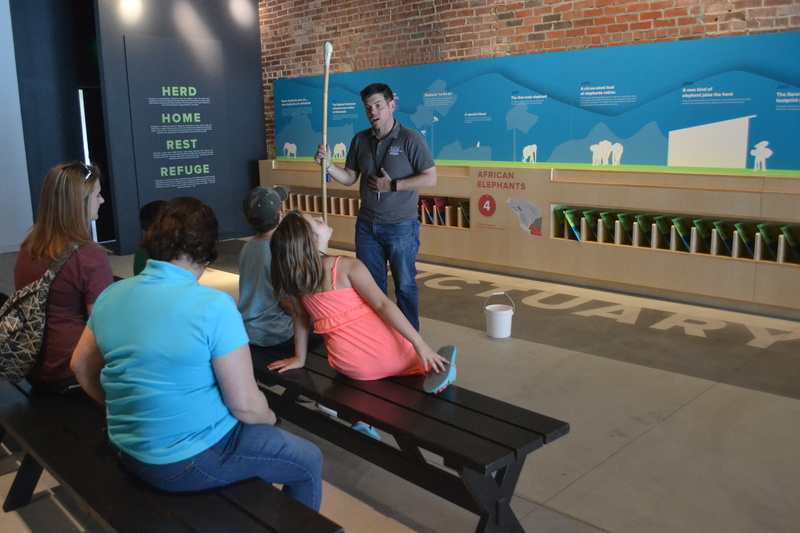 Group tours and field trips feature educator-led presentations and activities, as well as self-guided exploration of The Discovery Center’s interactive exhibits. To schedule a group tour, field trip, or guided programming call (931)796-6500 x109. Please Note: All elephants reside within The Sanctuary’s 2,700 acres of habitat nearby, retired from public view. There are no elephants at the Discovery Center or Outdoor Classroom. Drop-in hours are posted below. The Outdoor Classroom is an open-air walkway and is always available for drop-in visitors. Private group presentations are available by appointment throughout the week. Please Note: The elephants' habitats are closed to the public. The Elephant Sanctuary in Tennessee will host a family-friendly Earth Day event on Saturday, April 27th! The event will take place at The Elephant Discovery Center in downtown Hohenwald, Tennessee during regular hours, from 9 a.m. – 4 p.m. Create enrichment for the elephants using all sustainable materials, learn how to sort your recyclables, take a pledge to help elephants, and get the chance to chat with a member of The Sanctuary's Care Staff. Don't forget to bring an old, well-loved T-shirt to create your own reusable tote! The Elephant Discovery Center is now open, so visitors are also invited to interact with the hands-on, self-guided exhibits that teach about the ecological role elephants play in the wild and tell the stories of The Sanctuary’s resident elephants. Caregiver Chat - A member of The Sanctuary's Elephant Care Staff will share an introduction to The Sanctuary and highlight sustainable aspects of our three barns and habitats. Enrichment Creation - Learn what it takes to create elephant enrichment at The Sanctuary by creating it yourself with sustainable materials. Recycling Sorting Game - Find out what can be recycled in Lewis County and where, and discover how to identify your different recyclables. 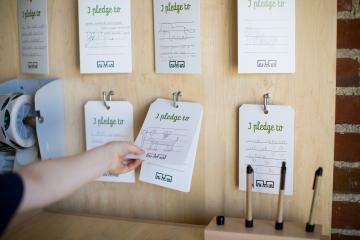 Afterward, play a game to test your newfound knowledge on recycling and sustainability. T-Shirt Tote Bag Tutorial - Bring an old shirt to create your own reusable bag for grocery shopping and more! 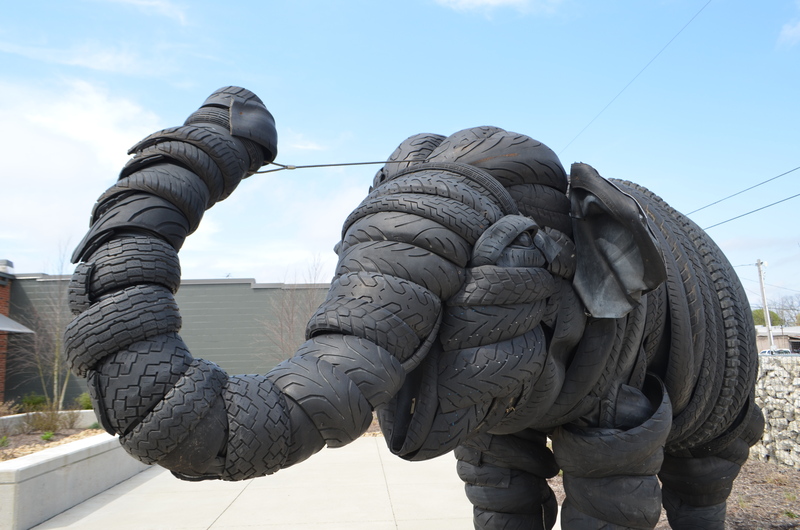 Sustainability Tour - Take a guided tour around The Elephant Discovery Center that will highlight the sustainable features of its architecture and landscaping.